Figure 1: The image shows a map of the Arctic with the location of Svalbard marked by a yellow ccircle (map courtesy of NOAA). High in the Arctic, closer to the North Pole than almost any other land surface on Earth, the archipelago of Svalbard offers a variety of unique research opportunities to planetary geologists who are interested in the study of water on Mars. Many geologic phenomena in this cold arctic environment are analogous to landforms on Mars that have been interpreted as periglacial or glacial in origin. Among these are rock glaciers, patterned ground (polygons), pingos, and braided rivers. Other surface features in Svalbard that are very similar to Martian landforms are gullies. On Mars, their discovery in high-resolution MOC images several years ago has led to speculations that liquid water has existed in the very recent past on Mars. This is an exciting idea, since the present Martian environment prevents liquid water to be stable on Mars, because the atmospheric pressure is too low and the temperatures are mostly too cold. Was there a recent climate change on Mars, or can their formation be explained under the current climatic conditions? DLR participated in several activities in the summers of 2008 and 2009. DLR`s 2008 Svalbard campaign consists of three projects. First, we joined the Arctic Mars Analog Svalbard Expedition (AMASE) to test instruments for space missions. Second, we acquired very high-resolution stereo and colour images with an airborne version (HRSC-AX) of our Mars camera, the High Resolution Stereo Camera (HRSC). Our targets were landforms that are comparable to those found on Mars. Third, we carried out fieldwork to investigate the landforms observed by HRSC-AX in situ, to obtain ground truth and to acquire complementary measurements. 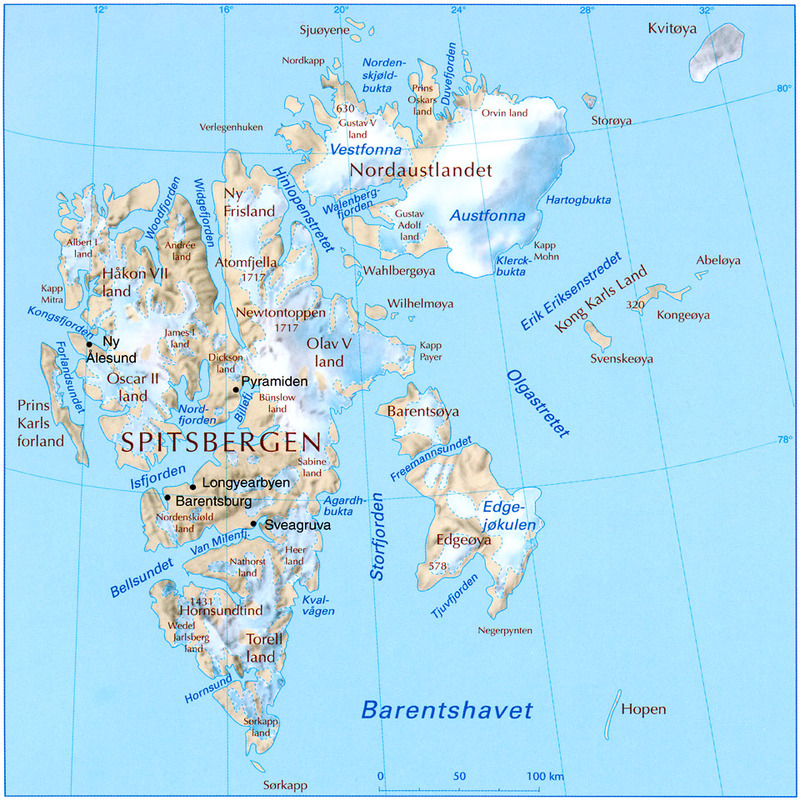 Figure 2: The image is a map of the Svalbard archipelago (source: www.russia.no/regional/svalbard/svalbard-map-4.jpg). In 2009, two additional field sites were visited. The first of these sites was Kvadehuksletta, a strandflat at the northwestern most part of Brøggerhalvøya in western Spitzbergen. The site is renowned for well-developed stone circles and and nearby protalus ramparts (a class of rock glaciers) at a location called Stuphallet. The second field site in 2009 was Adventdalen in central Spitsbergen. It offers a variety of periglacial landforms in close spatial proximity, such as polygons and other types of patterned ground, rock glaciers, and pingos.